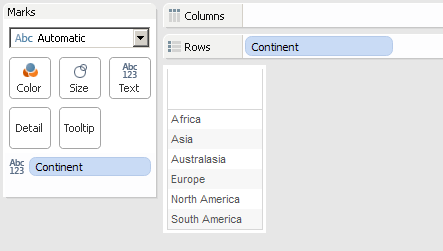 I did not know Tableau one year ago, despite this I have already been through multiple ways of removing the ABC column. First I used the "blank" calculated field method for a while and next I changed the color to white. But, both ways have disadvantages that annoyed me. The first one is simply cumbersome and tends to make the layout rendering a little slower. 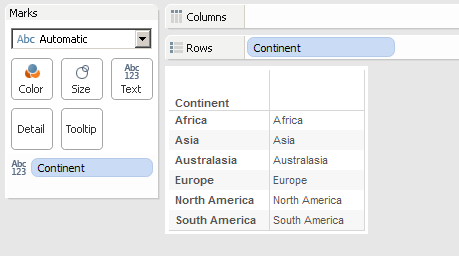 The second one do not hide the column, only the text. There is a third way to hide the column - and I think this is by far the easiest and most robust method. 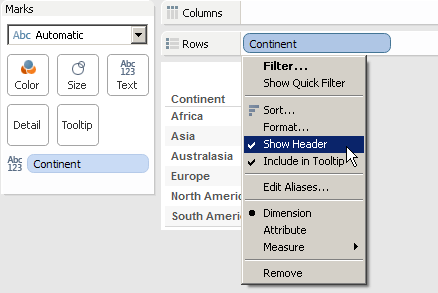 2) Right click on the dimension on the rows shelf and uncheck "Show Header"